When I first met Sinta, an Indonesian housemaid turned into a prisoner of a hospital room, her entire being had an effect on me that I’ll never forget. Sinta’s sincerity was so genuine it made her appear almost child-like in her trust of others. The kindness of her heart shone through the lovely but shy smile on her face. A smile that would light up the whole room and bring a special kind of glow to it. Sinta was one of the most approachable and accepting people I’ve ever met. She would make everyone feel at ease from the minute they’d meet.This is the first part out of three of her story which I think is too long and too much to digest in one post. 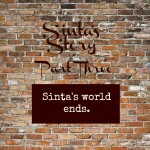 Final Part of Sinta’s Story here. Sinta’s story of how she ended up living with “Mama Ameenah” in that tiny and murky hospital room was told to me by the Malaysian nurses on the ward. They and Sinta had become friends because they understood each others languages. Sinta spoke some Arabic too, but she was not fluent, nor was I when I first arrived in the Kingdom to work on a surgical ward. 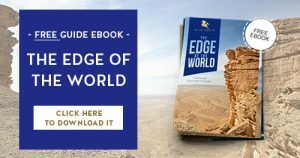 Sinta had been in her late 20’s when she left to Saudi-Arabia’s capital Riyadh to work as a housemaid in a large Saudi household. She was from a tiny impoverished village, had no education and could barely read and write. She knew Arabic mostly from memorizing some Quran. Sinta had a teenage daughter and a 9-year old son together with her husband, who by profession was a mechanic, but unable to find a job or support the family. They lived in severe poverty and something had to be done. It was Sinta who had decided she would go to the Saudi Kingdom to try to earn a living for the rest of her family as a housemaid. She’d heard it was good money, enough to send both her children to school, feed and clothe the kids, her husband and her own mother who lived with them in their small and humble house. Sinta had dreams. She wanted to ensure her daughter would be able to study and have a better life than she did and that her son would one day become a doctor. She was ready to sacrifice everything for their well-being. 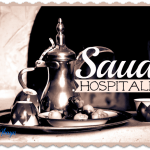 Sinta’s new family was a typical upper middle class Saudi family living in a large villa in Riyadh’s suburbs with many family members under the same roof. Sinta’s main duty besides cleaning and cooking was to assist with the elderly mother who she affectionately called “Mama”. Her Mama was the sweetest woman and always treated Sinta with kindness and generosity. The rest of the family however did not share the same affectionate approach. One of the sons with his family and a 40-year old spinster daughter lived in the same villa. When Sinta’s work with the Mama was done, the Mama’s children took care that she didn’t get a moments rest in the day. Especially the daughter, who spent all her days sleeping in, shopping and gossiping until late at night, would take advantage of Sinta’s kindness and hardworking attitude forcing Sinta to work until late at night serving her. Sinta’s duties would never end but she did not complain. She just said alhamdulillah (Thank God) for what I have! A big and house to live in, food to eat, a soft bed to sleep in and money to send home. During the six years Sinta had worked in the household, the son, who was also her sponsor, had never allowed her to go for vacation to meet her family. Her passport had been taken away on arrival. Sinta had been out of the villa on a few occasions to go to the store with her Mama. She’d been given a mobile phone but was hardly ever able to use it because she had to charge it from her salary of 600 SAR a month. Despite her difficult situation and unfair treatment she remained grateful and hopeful, believing her employer’s empty promises “soon you will get to go on vacation, just a few more months!”. Sinta never had a day off, she was made to work by the spinster daughter on Friday’s too. She laughed when she told me of the one and only time she’d been given the day off. Sinta had been sent to the son’s second wife’s villa ‘to unwind’. In reality, she was made to clean there all day. But her Mama’s kindness and their friendship kept Sinta hopeful and patient that one day all her hard work would be rewarded. Then one day her life changed forever. Sinta’s Mama had been ill for a while, complaining of abdominal symptoms. She’d been accompanying the mother to various doctors appointments and procedures to try find out what was the problem. The doctors had finally decided to schedule a gastroscopy for her after the relatives had pushed and insisted upon it for months. When the day of the procedure came, the Mama had been leaving to the hospital without Sinta which left her heart-broken from worry. She was due to return in the evening. Before the Mama left the house she had asked Sinta to prepare all her favorite foods, as she would be so hungry from the three days fast she was put on prior to the gastroscopy. 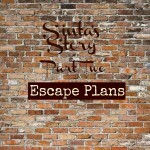 She promised Sinta they would have a big party when she came back. Sinta had been very pleased and went in the kitchen to prepare. In the afternoon the family was alerted from the hospital, their mother had been rushed to the ICU because of complications during the procedure. Her heart had stopped. She was now unconscious and connected to machines, the doctors were unsure if she’d ever wake up. Sinta rushed to the hospital together with the rest of the family. Sinta was so shocked and terrified of the sight of her Mama, lying lifeless in a maze of tubes and loud machines she’d never even imagined could exist that she had fainted on the spot. In the meanwhile the sons had been extremely angry at the hospital staff asking how this could have happened, demanding to know the reason that lead to her state. The doctors told the family she was brain-dead and paralyzed. Because of an allergic reaction during the procedure, the mother had a major seizure which they were not able to control and it eventually lead to her heart stopping. They managed to revive her but she didn’t gain consciousness. The sons were outraged when they learned that their mother had been given a drug she was allergic to. Their mother’s severe allergy to this particular drug was well-known by everyone in the family and had been documented and labeled everywhere on her file and electronic patient records. Despite all these precautions the staff had administered the drug intravenously (into the bloodstream) with the devastating consequences. The family was understandably horrified, devastated and outraged, after all this was supposedly the Middle-East’s leading hospital, full of international expertise and the latest state of the art equipment. How could this have happened?! 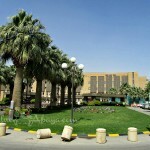 The family launched complaints, filed a medical error report against the hospital and they appealed their case with the Emir, after being rejected by the Ministry. They demanded financial compensation and for their mother to be taken care of in the same hospital for the rest of her life. The mother would require expensive medical equipment and around the clock medical care because of her state. All this was of course very expensive and required a medical professional’s supervision. Perhaps from their anger, the family could not think clearly what was best for their mother. Having her stay long-term in a hospital setting would expose her to multiple risks, some even life-threatening ones such as multiple drug resistant bacteria. Her care on the ward would cost hundreds of thousands of riyals daily. They wanted the hospital to pay for their disastrous mistake. Eventually the administration of the hospital had to bend to the family’s demand to admit their mother to a ward on the hospital permanently because of the cardinal error the hospital had made. Sinta was assigned to be their mother’s private sitter, never leaving her side or the hospital. Sinta ate, slept, prayed and showered in the room over four years. She hardly came out of the small dark room and never left the ward. It would become like a prison cell to her. “Mama Ameenah” lay in her bed motionless, with the same expression on her face. Her eyes were often open and at times it seemed as if she heard and understood the conversation, but there was never confirmation that it was true. Sinta didn’t give up trying though. Sinta kept talking to her, relating to the daily events and played Quran tapes from her little recorder next to the bed. Since the hospital didn’t provide any kind of rehabilitative care, this was the only stimulation the patient ever got. Sinta took care of the Mama as if she were her own mother. I was amazed by how her spirit had not been broken despite her fate. I found her positive attitude and thankfulness remarkable. As I watched Sinta hold the Mama’s hand, softly talking to her, I realized how this was something really special in a world full of cold and selfish people.